Cheap flights from Brussels to Guangzhou in China from €424! Cheap open-jaw flights Germany to Panama & Costa Rica to Brussels from €315! Star Alliance non-stop flights from Paris to San Francisco €250! Want to fly on board of top ranked carrier to China consider this latest promotion of Qatar Airways now offering discounted return flights on route Brussels – Guangzhou available from €424. This is for a round trip incl. all taxes, onboard meals and 30kg checked luggage. Flights have one layover in Doha on your way. This is fair deal on this route we have not posted for a long time. So if you want to enjoy luxurious onboard service of one of few 5-star airlines (by Skytrax) check our below details. 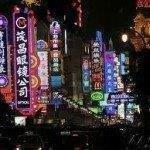 Guangzhou is the capital and largest city of Guangdong Province, China. Discount with Qatar Airways is avaiable when traveling till 16th of December 2018 or January to 24th of June 2019. Max stay 3 months. Book this promotion by 26th of October or until sold out. If interested you can refer below to our booking sample. Travel dates is the easiest to compare directly at website of Qatar Airways. Choose “More dates” to see calendar of the cheapest travel options available. If you want to compare hotel rooms in Guangzhou in advance you can use service of leading hotel boomking sites such as Booking.com or Hotels.com. Booking sample of 5* Qatar Airways promotion from Europe to Asia below. At this moment you can book cheap flights from Brussels to Guangzhou in China from €424! As per our booking sample your outbound flight from Belgium to Gangzhou on 6th of May. Inbound flight from this Asian city back to Brussels on Friday, 19th of May 2019. Qatar Airways promotions are quite rare these days so if you want to experience their service do not miss this kind of a flash sale..